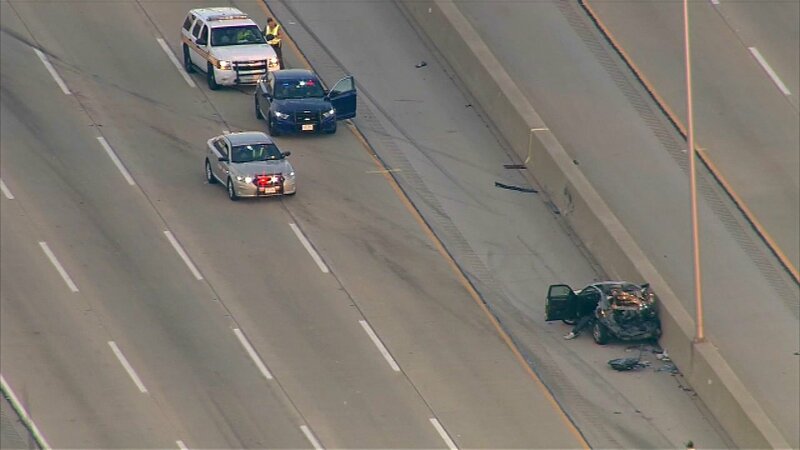 BRIDGEVIEW, Ill. (WLS) -- Illinois State Police said one person was critically injured in a multi-vehicle crash on I-294 at 95th Street Tuesday evening. State police said their preliminary investigation showed a commercial vehicle failed to slow down and struck the back of a Dodge Charger, which then struck another vehicle. Police said the driver of the Dodge Charger was taken to Christ Hospital in Oak Lawn with life threatening injuries. The driver of the second car was also taken to the hospital for minor injuries. All northbound lanes of I-294 at Cicero reopened shortly before 10 p.m.